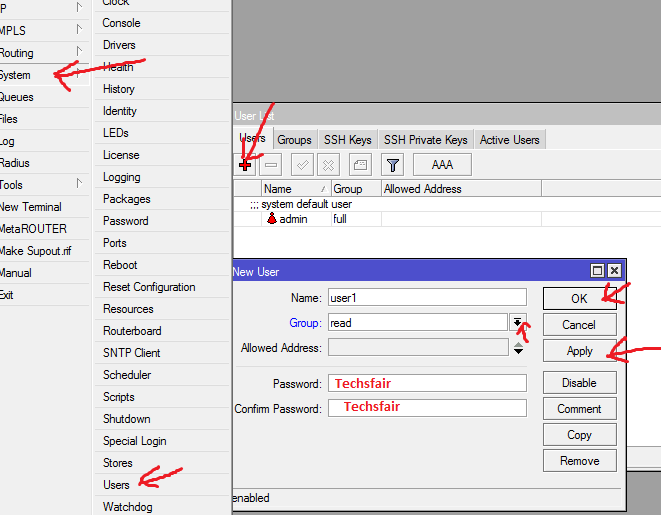 How To Secure A Mikrotik Router From Unauthorized Persons. One of the major steps anyone will take in every network is access control. It is as important as the air we breathe, to secure your network against unauthorized individuals by using a strong and perfect authentication methods. So today I welcome your guys to my blog were I do most of my configurations and also share experiences from filed works. Am going to share in a short post how to secure a mikrotik router from unauthorized persons, the reason for this is because most organization are waking up every day, employing IT personnel’s into their organization, so as a network admin it is your duty to protect your network against leak or bypass by those IT employee, often times it is not even the IT employee that does the damage but a technician who come to fix wireless router or even the client might decide to authenticate into the ISP or the Admin log in page. It is also important that every password to be used should be encrypted or check the hide dialog box if any. To secure a mikrotik router we are going to log into the router interface using winbox. Next on the menu bar by the left side corner, locate the tag system click on it. Next on the new menu click on password. Now it is going to ask you for old password, new password and confirm password. If you have not set any password for the radio at first, your going to leave the old password dialog box empty. 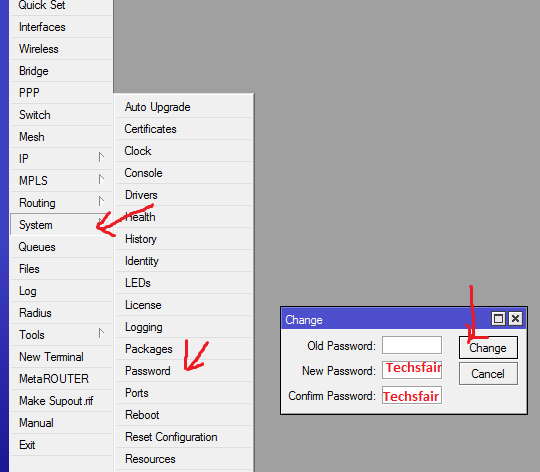 Type in the new password, for this tutorial am using Techsfair. My confirm password Techsfair. Click on change. and your done. one other method you can employ to also secure your mikrotik router is by adding users. to do this, click on system,>>>>>> click on Users and add a user using the plus sign. This user will then be able to authenticate into the router. You can give them permission base on full , read or write on the router in the group menu. And then set a password for the user. In full the user will have full control to read and make changes. In the read the user will only have access to read script. In the write mode the user will access to write only. After creating the user click apply and ok. So with this, your able to secure your router from authorized login. 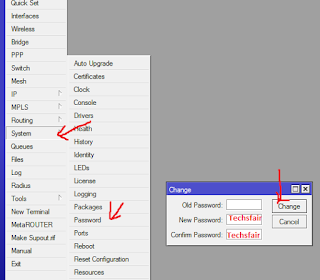 How To View And Reset User Manager Admin Password Of Your Hotspot On Mikrotik Router. 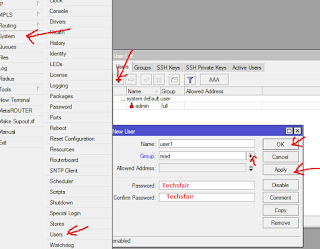 How To Configure PPPoE Services On MikroTik Router. How To Setup A VPN Connection on Mikrotik Devices.